Hello! There are a lot of beauty boxes on the market these days, but this Balance Me YouBeauty Discovery box has got to be my favourite of them all. It’s no secret that Balance Me are at the top of my favourite skincare brands, as I know I can pick up any item and it won’t cause a reaction, so getting seven things to try in one box is pretty darn good. Onto the products themselves, the stand out ones for me are Balance Me Radiance Face Oil (reviewed here and here), Balance Me Cleanse and Smooth Face Balm (mini review here) and Balance Me Moisture Rich Face Cream (review coming soon!). The cleansing balm really is one of my favourites, it deeply cleanses and brightens, whilst leaving skin hydrated and smooth. I’ve used the oil for a long time now and despite it only being 10ml in size, it lasts for so long! Another product I’ve used before is the Balance Me Super Moisturising Hand Cream, which I’ve actually taken to work for everyone to use and my colleagues all love it. It’s thick but absorbs quickly and leaves skin so soft! Now, three products in the box are new to me and I’m looking forward to trying the Balance Me Wonder Eye Cream and Balance Me Facial Expression Filler. Having such horrible dark circles, any eye cream that can reduce them even so slightly would be a huge bonus, so I’ll report back on that. The only thing I’m not too fussed about is the Balance Me Rose Otto Body Wash and that’s purely because I’m not a fan of rose scents! My mum will love it though, so I’ll give it to her. Discovery site, so get clicking. Have you ordered this box? 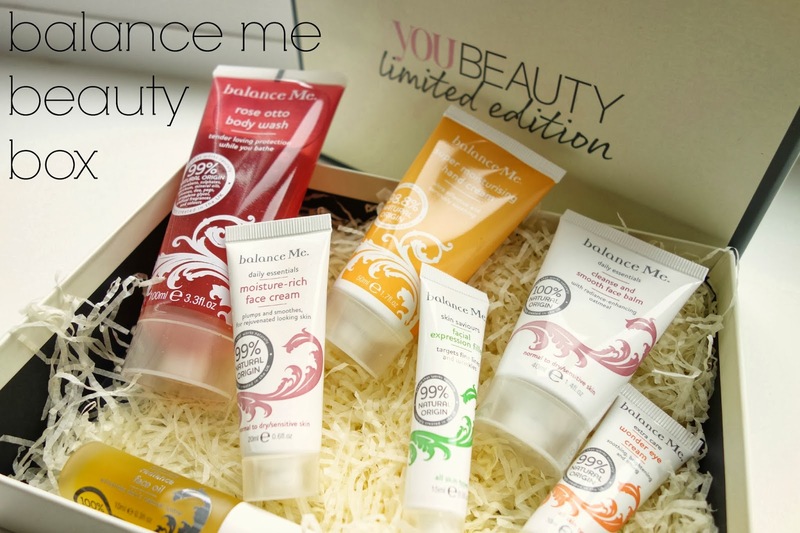 Or tried Balance Me skincare before? Lemme know below. There’s eight days left to enter my Diesel Loverdose giveaway, so make sure you’ve entered! ps. check out these lovely blogs: rosalie jayne and the runway rose.